The Super Angel Juicer 5500 is definitely an investment in your health. You might look a the price tag on this juicer and have a moment of shock, but once you recover and start looking at the features you will see that there is a reason for that price tag. This is an elite juicer from one of the leading brand names on the market today, so you can expect there to be a long list of strengths in its favor. This juicer sells toward the upper end of the residential juicer market. This may be a bad thing if you are shopping on a tight budget, but if you have a little more to possibly invest it is worth considering. It will outperform centrifugal juicers and many masticating juicers because of its high ability to work with leafy greens, wheatgrass, and other small veined or very soft fruits and vegetables. Let’s take a look at the strengths of the machine as well as the weaknesses so you can compare with lower priced juicers and select the right product for your kitchen. 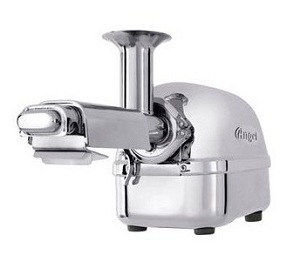 There is definitely a lot to love about the Super Angel juicer 5500. It is designed to be very sturdy with heavy, durable parts that will last much longer than it s five year warranty coverage. The motor is powerful enough to chew through any fruit or vegetable you could possibly insert and you get more juice in your glass than is left in the pulp at the end. Surgical stainless steel parts remain safe and odorless. Efficient with wheatgrass and leafy greens. Extremely dry pulp left at the end of processing. Heavy, durable parts on a steady machine. The heavy duty construction and durable stainless steel parts are clearly what you are paying for when you purchase this juicer. Of course, the super powerful motor and ability to juice wheatgrass and other soft, small veined produce are great perks as well. Screen can be difficult to clean. Pulp and juice containers are flimsy compared to rest of the machine. Slower processing for those used to centrifugal juicers. Some people may need to mark this one off the list because of its high price, but if you can fit it into your budget it does offer a lot of quality for the investment. Just keep in mind that it isn’t the fastest juicer out there by design and the screen can be difficult to clean until you get the hang of it. Generally, if you are serious about juicing and are not scared off by the price tag, this juicer gets rave reviews! For example, on Amazon’s website the average review is 4.5 out of 5 stars! What you are really paying for in a juicer at this price point is the heavy, sturdy construction and the highly durable parts. This is a juicer that will take regular use and even long usages without breaking down, shaking, or walking right off your countertop. You are paying for that dependability and durability. 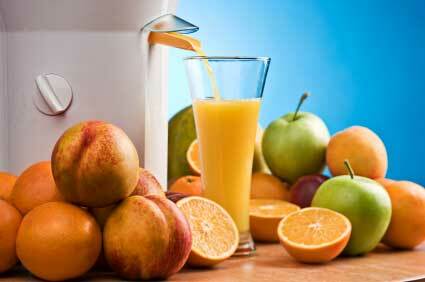 However, that comes with a heft price tag compared to some other top juicing machines. The retail price is $1200, but often sells on Amazon.com for under $1,000. Click here to check current prices. Over this is a 4 star machine, we just wish the price was more affordable so more people could enjoy it. Click here to compare to juicer ratings of other popular juicers.